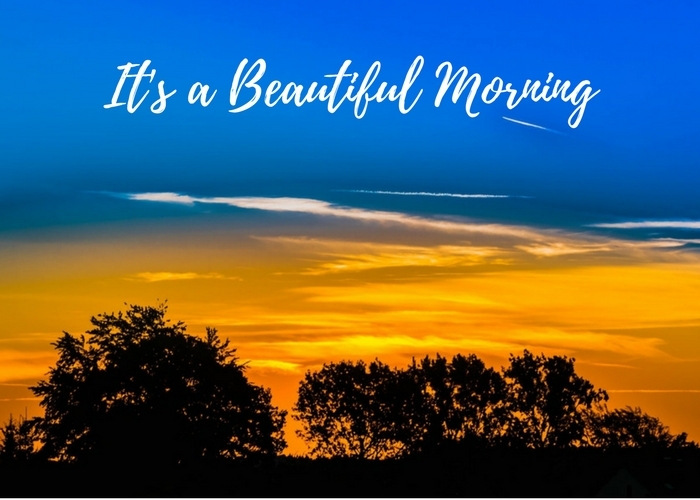 What makes mornings glorious? You know the kind of morning I’m talking about. It’s the times the sun comes up and kisses your face with a golden warmth and everything about the day feels right. It’s the spring in your step. You’re unstoppable! Because you are, but how did you get there? How did you have a productive morning? Lean in close and let me whisper in your ear the biggest secret to a productive morning. Psst…. it starts the night before. Turn off electronics early. Don’t let the blue light keep you stimulated into your sleep time. If your favorite program ends right before bed consider blublocker glasses so your body is ready to turn off when you are. Social media be darned. Shut it down at least an hour before bed. Think ahead for tomorrow. Get the backpack the briefcase, whatever you need packed the night before and set it by the door. When you need to run out the door you can be confident everything you need is with you because you thought ahead. Do the little things. Ten minutes at night become a lifesaver in the morning. Do you, the kids, the spouse or significant other need a lunch tomorrow? Make it the night before. If your office has a microwave and refrigerator it’s easy to take remnants of yesterday’s dinner for lunch. If not make something you can take with you. A small investment of a soft-sided cooler or lunch box will save you from unnecessarily eating out. Pack the kid’s lunches at night. When the lunches are prepared in advance it is simple to put the containers and an ice pack in a lunchbox to go. If you didn’t think about breakfast and put some steel cut oats, apples, and seasonings in the slow cooker last night it’s too late now. Don’t cry over spilled milk. You have too much going right. Keep breakfast simple. If breakfast is the most important meal of the day this is where meal planning and thinking ahead are key. Your meal plan has to include things you like so you don’t end up in the drive-through on the way to school or work. Do you like fruit, granola, yogurt or something else? If you have time to throw an egg in the skillet and make a cooked breakfast, that’s great. I’ve found making slow oatmeal is a breeze to make for the whole family in under 8 minutes. By the time the tea kettle blows its whistle that the water is boiling I’ve got oats seasoned in bowls for each family member. Additional add-ins include raisins or blueberries–great for antioxidants. If oatmeal doesn’t fit your timetable then keep it super simple. Hopefully, your family has a few minutes at the table together. If not grab a piece of fruit or individual packed yogurt and go. Eat on the commute if necessary. Start the day with gratitude. When I am thankful for something it sets the day in positive motion. This necessitates two things. Wake up before the kids or spouse. Being on for everyone else isn’t pleasant if I haven’t had time to collect myself first. Lay off the snooze button. Don’t oversleep or all that preparedness goes right out the window and anxiety and stress come in its place. You can have a productive morning every day with these 4 simple steps. Get your morning groove on and be “Happy”. Visit www.wetalkhealthy.com to tip the scale in your direction and for healthy meal planning tips.